A former public prosecutor in the Malegaon blast case has slammed BJP politician Pragya Thakur for claiming that she was tortured while being investigated by a team led by 26/11 hero Hemant Karkare for her alleged involvement in the incident. Two days ago, Pragya Thakur had kicked up a row by alleging that the police officer was killed by terrorists during the 2008 Mumbai terror attacks because she had placed a curse on him. "Hemant Karkare was anti-national. He was dharam virudh (anti-religion). You won't believe this, but I said that he will be destroyed. Soon after, terrorists killed him," the politician, who is contesting the Lok Sabha elections from Bhopal on a BJP ticket, said. She withdrew her controversial remark in the face of mounting criticism on Friday. 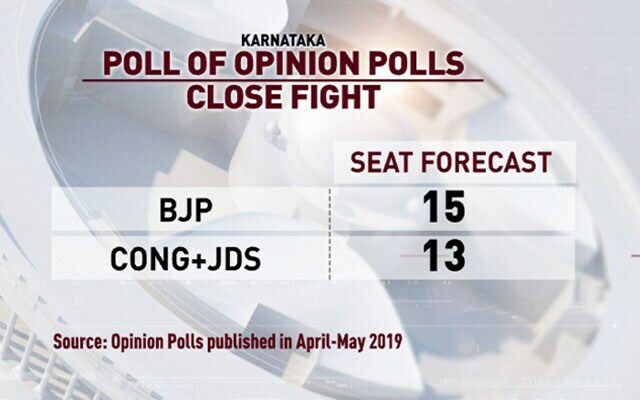 Special Poll Observer Ajay V Nayak today compared the election scenario in West Bengal to that of Bihar over 10-15 years ago, and claimed that its people "do not have any faith in the state police". Union Finance Minister Arun Jaitley today assured a delegation of Jet Airways executives that the bidding process for the cash-strapped airline will be completed in four to five weeks. The meeting came two days after Jet Airways grounded its flights in the face of mounting debt, leading to fears of over 20,000 employees losing their jobs. 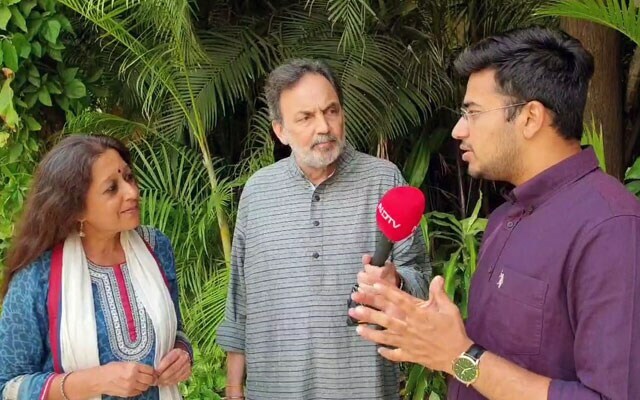 On "The Countdown", NDTV's Prannoy Roy and Maya Sharma speak with Tejasvi Surya, 28, the youngest BJP candidate in the country on whether he is campaigning only on the name of Prime Minister Narendra Modi. "My message has been on two fronts. 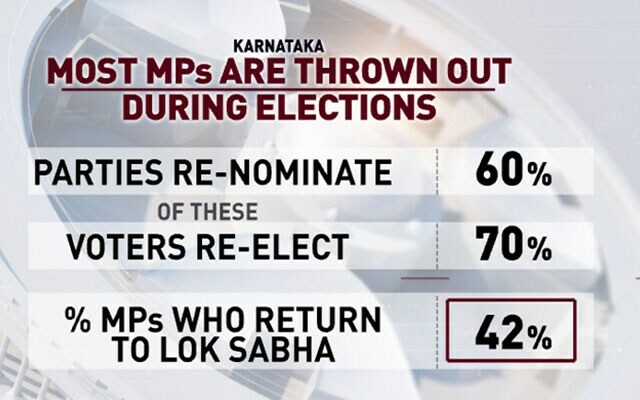 Given the fact that this is the Lok Sabha election and the logical consequence of this election is the election of the prime minister of the country, the paramount question is who will be the country's prime minister once you go out on voting day," Mr Surya said. "We didn't make it a negative campaign. Our campaign thoroughly has been about PM Modi's performance in the last five years, issue-based." 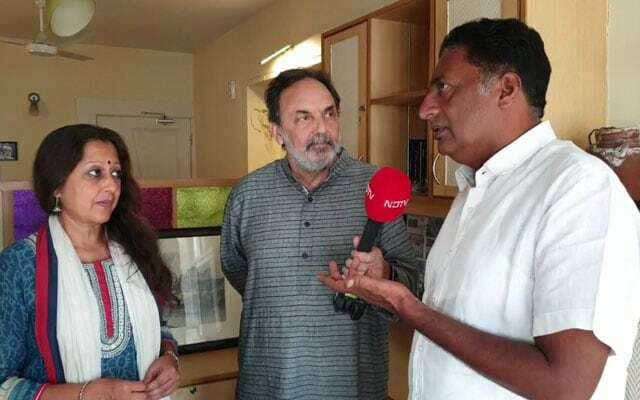 On "The Countdown", NDTV's Prannoy Roy and Maya Sharma speak with actor Prakash Raj, an independent candidate from Bengaluru Central, on his decision to join politics and how he is different from leaders like Prime Minister Narendra Modi and Congress chief Rahul Gandhi. "Modi is very dramatic. He is insulting an actor. Look at his language now... why is he not talking about his report card, why is he on denial mode..." Mr Raj said. 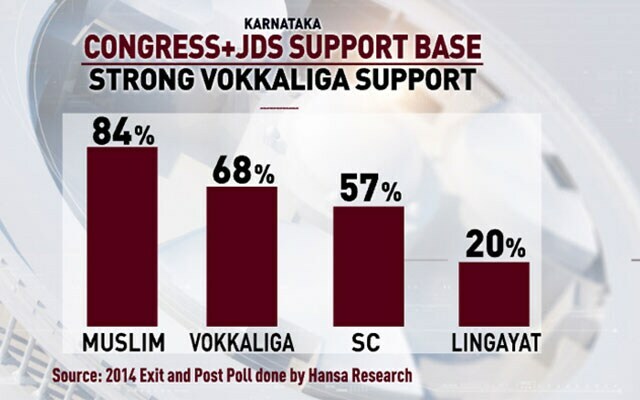 "Rahul Gandhi has to revive his party. He has not delivered. They are also actually polarising... but what have they done? The whole country I feel is voting with fear," he said. मध्य प्रदेश में कांग्रेस के दो दिग्गजों - पूर्व मुख्यमंत्री दिग्विजय सिंह और ज्योतिरादित्य सिंधिया ने अपना नामंकन दाखिल कर दिया. इस दौरान दोनों के समर्थक पूरे जोश में नज़र आए. दिग्विजय सिंह भोपाल से उम्मीदवारी के नामांकन के लिये निकले तो पहले शंकराचार्य स्वामी स्वरूपानंद सरस्वतीजी से आशीर्वाद लिया. 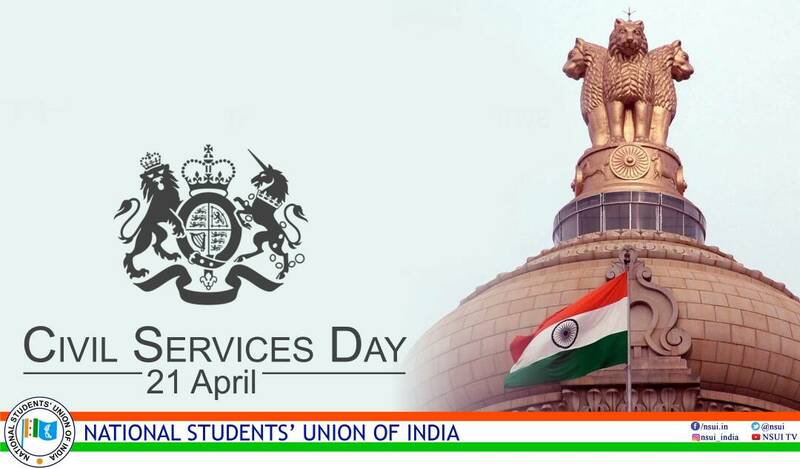 वहीं गुना-शिवपुरी संसदीय क्षेत्र से कांग्रेस प्रत्याशी ज्योतिरादित्य सिंधिया ने पहले भारी भीड़ के साथ रोड शो किया. रास्ते में कांग्रेस कार्यकर्ताओं ने उनका जगह-जगह स्वागत किया. शिवपुरी पहुंचते ही सिंधिया ने रोड शो किया. करीब चार किलोमीटर लंबे रोड शो के दौरान कई जगह उनका स्वागत किया गया. 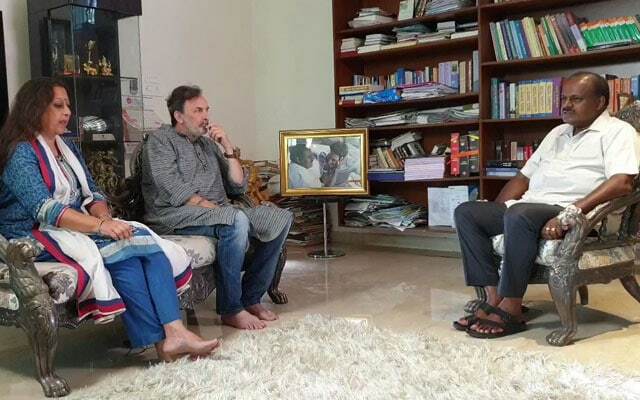 On "The Countdown", NDTV's Prannoy Roy and Maya Sharma speak with Karnataka Chief Minister HD Kumaraswamy on whether the difficulties in running the alliance with the Congress would affect the outcome of the results. "Congress high command decided to support my leadership, so am thankful for that. But little local problems are there. Even in single-party government lots of problems are there," Mr Kumaraswamy said. On whether his father HD Deve Gowda would be in the race for prime minister's seat, he said, "I think he's not interested. His main concern is to bring a new political system in India to save the country." 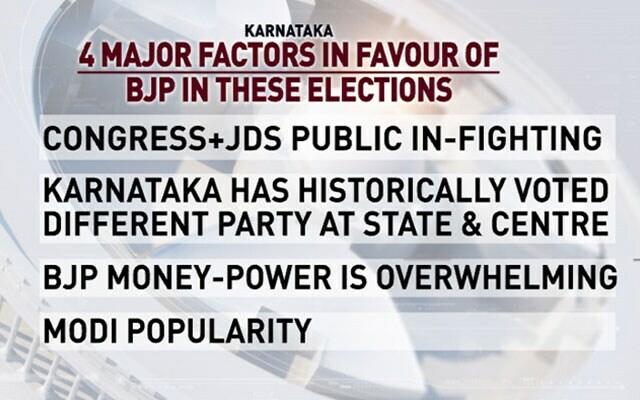 On "The Countdown", Prannoy Roy and Shekhar Gupta speak with the BJP's R Ashok on whether facing a combined Janata Dal Secular-Congress force would make the going difficult for his party in winning Karnataka seats in the national election. 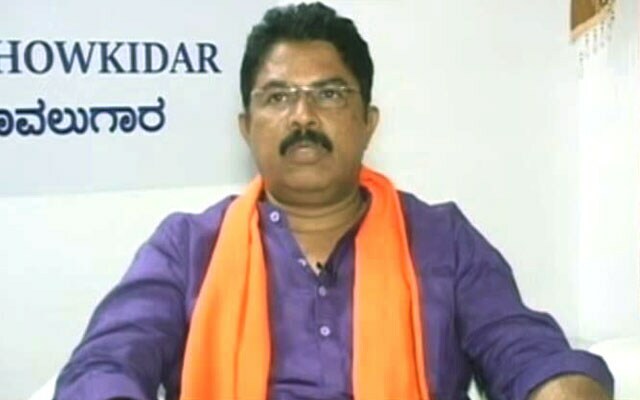 "The Congress and the JDS workers are not cooperating with their party leaders. They are fighting on the streets. The party in the higher level they are in a coalition. The party in the cadre level, they are opposing. 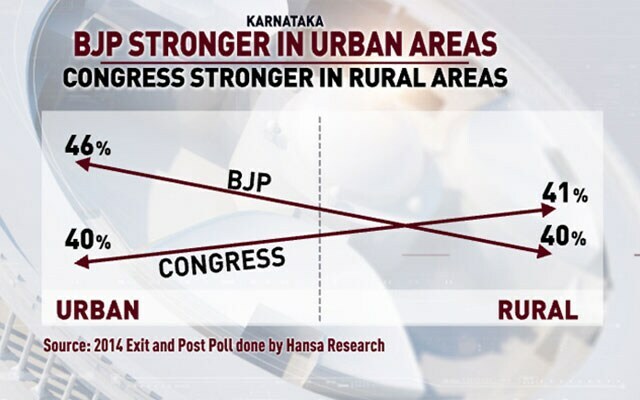 That's why it is going to benefit the BJP," Mr Ashok said. 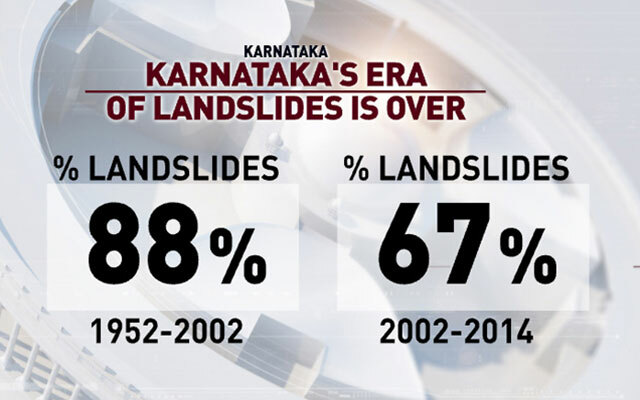 "Compared to 2014, the Modi wave is better, especially in Karnataka," he added. 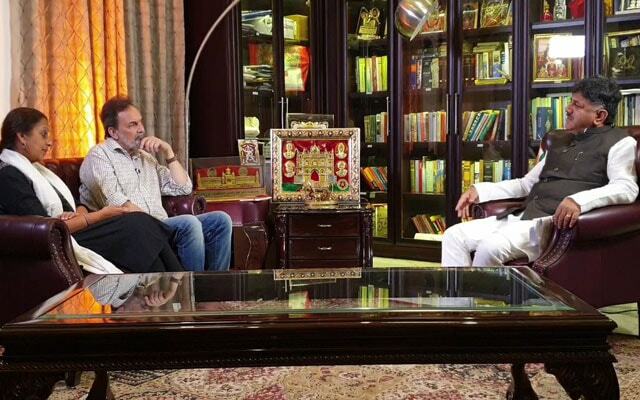 On "The Countdown", Prannoy Roy and Maya Sharma speak with Congress's DK Shivakumar on what the Lok Sabha election 2019 holds for his party. 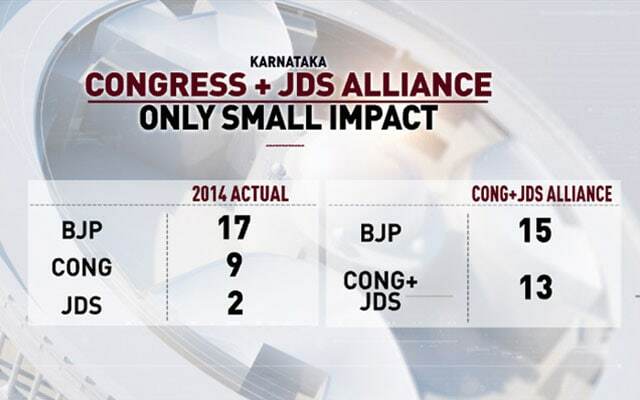 Will the Congress-JD(S) alliance in Karnataka pull of a win this time as well? The infighting between the parties has been a talking point in the recent past. "I am sure we will have better results with this great alliance," the Congress leader said. 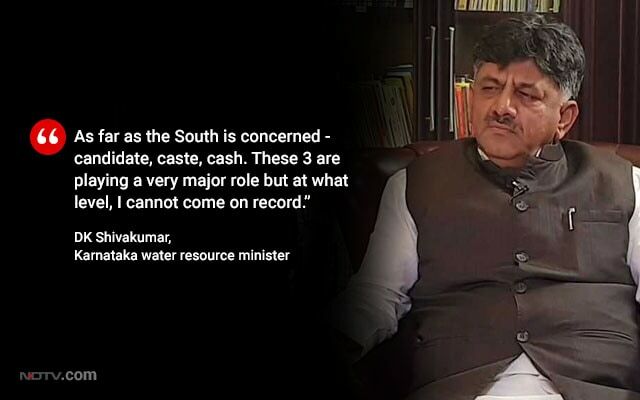 On whether this is a "happy coalition" considering Chief Minister HD Kumaraswamy airing concerns over the difficulties of running the Karnataka government, Mr Shivakumar said, "Kumaraswamy is a very emotional man. But he's quite lucky also... We all are working together for the state. Sometimes, to gain something you have to lose something." 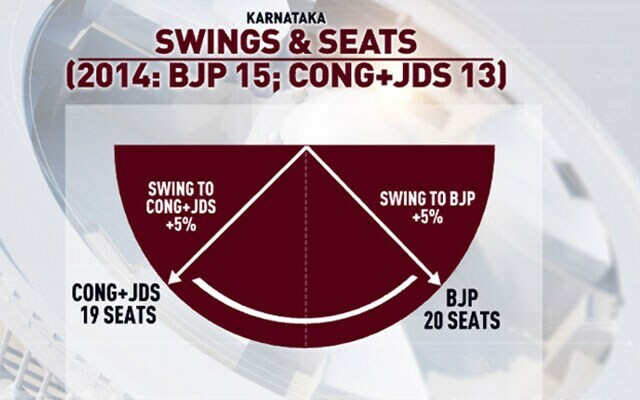 Will the Congress-JD(S) alliance in Karnataka pull of a win this time as well? The infighting between the parties has been a talking point in the recent past. 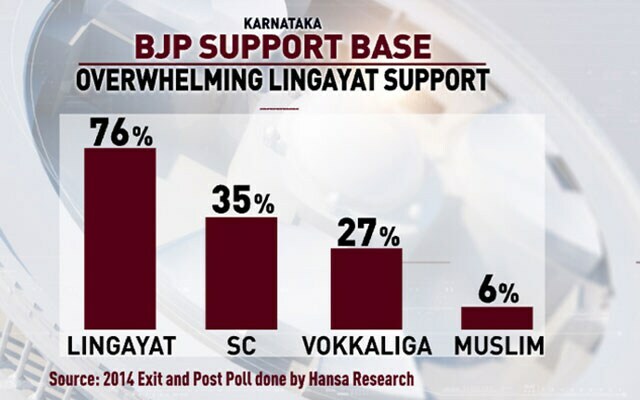 Will this help the BJP to win the crucial state or is the Modi factor enough to bag votes? From coalition to caste, Prannoy Roy and his team analyse crucial questions on The Countdown tonight and bring you exclusive interviews with Chief Minister of Karnataka, HD Kumaraswamy, Congress's DK Shivakumar, Former Deputy Chief Minister of the BJP R Ashok, actor turned politician Prakash Raj and the Bengaluru-South candidate of the BJP, Tejasvi Surya. 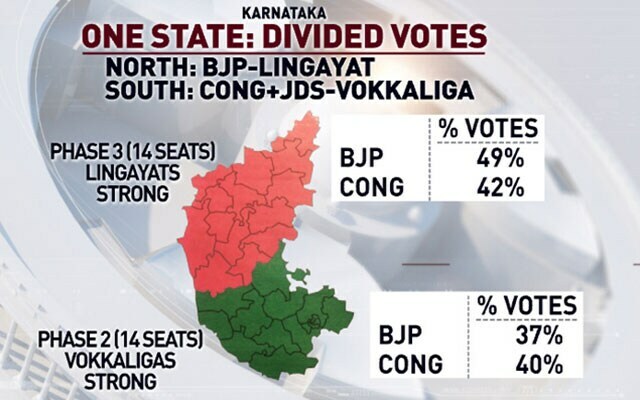 Karnataka has been a BJP state for the last 20 years. There are lots of differences of opinions at the ground level. But now, 1 year has passed. We have accepted this alliance. And a lot of senior leaders have accepted this. In 50 constituencies, we have differences of opinions. 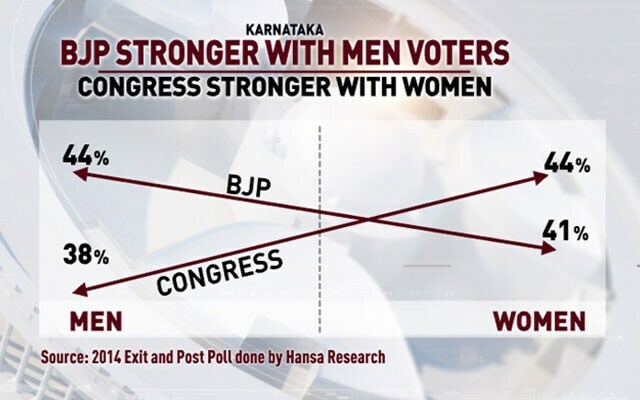 But in the rest 175 constituencies, the BJP and Congress are fighting. I am sure, we will have better results with this grand alliance. HD Kumaraswamy has been very emotional from Day 1. 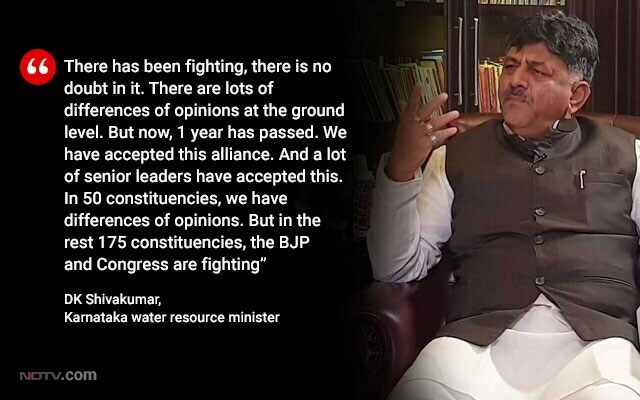 DK Shivakumar on Modi vs Who? 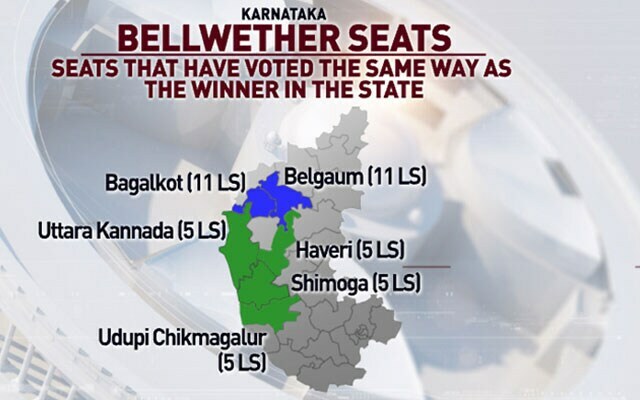 No one in the state is asking vote for Yeddyurappa here, no one in the states is asking for candidates. Everyone is asking for Modi. I cannot understand - still we could not get any report card for Modi here? When asked if the election is Modi vs Who, he says the election is Modi vs Mahagathbandhan, Modi vs False promises. 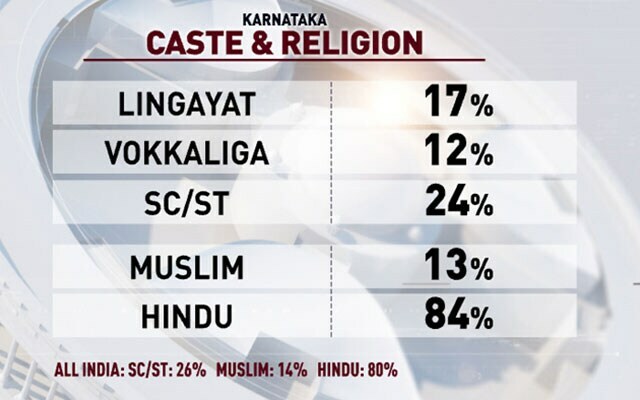 As far as the South is concerned - candidate, caste, cash. These 3 are playing a very major role but at what level, I cannot come on record. 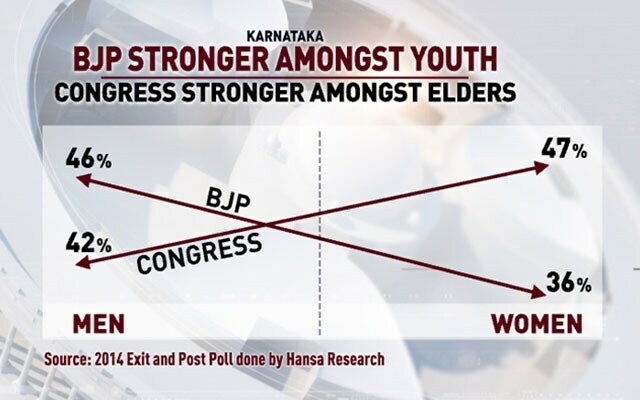 R Ashoka, former deputy chief minister says people want BJP in Karnataka and it is the party's southern gateway. 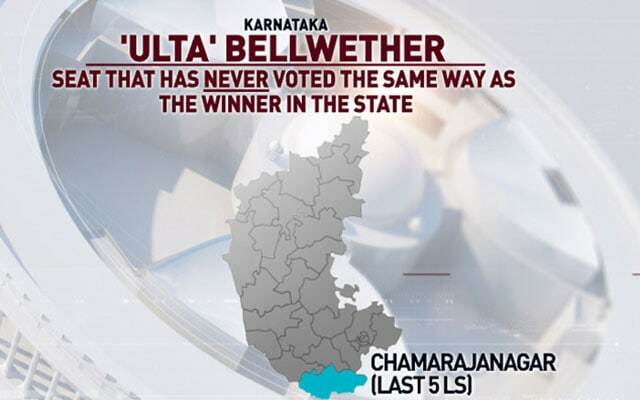 In Karnataka, PM Modi has a huge impact on the voters. They like his energy, charisma and leadership qualities, say the voters in the state to Prannoy Roy and his team. Question: Did the BJP leadership contact you, pressurize you? HD Kumaraswamy: On several occasions, several leaders (have pressurised me). But while forming this government, that day itself we were firm, whatever problems created here, somehow we have to sort it out and we have to give good message to the country for this general election. Even in Bihar, if you take the example of Lalu Prasad, because of their hard work, the RJD party is surviving. The same thing is going on in Uttar Pradesh and even in Tamil Nadu, and Andhra Pradesh. Actually, family politics is not the issue now, only how do we work about this. That is important actually. The implementation is important. 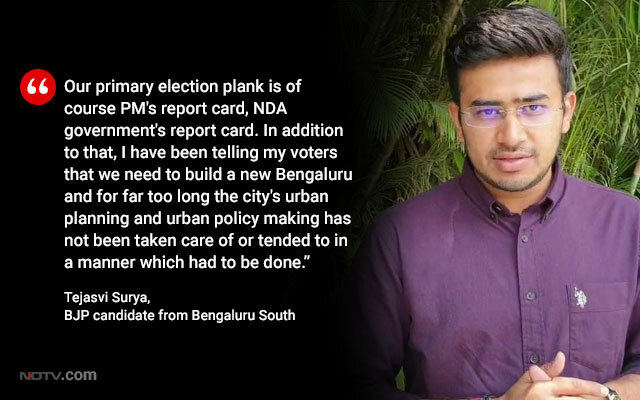 Tejasvi Surya, BJP candidate in Bengaluru says the party's campaign has not been negative. 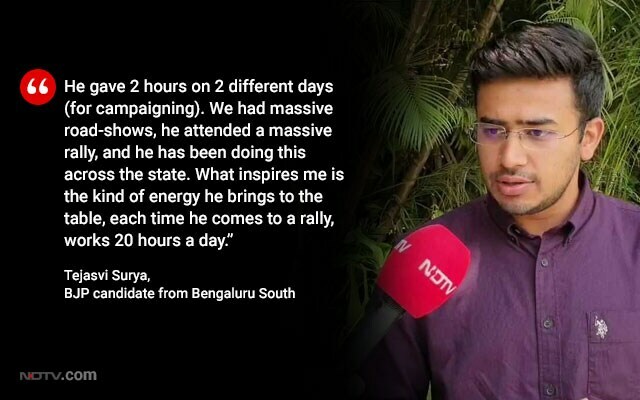 On Yeddyurappa, Mr Surya says his energy inspires him and he has played a critical role in the campaign. Question: What is your view on Rahul Gandhi and PM Modi? 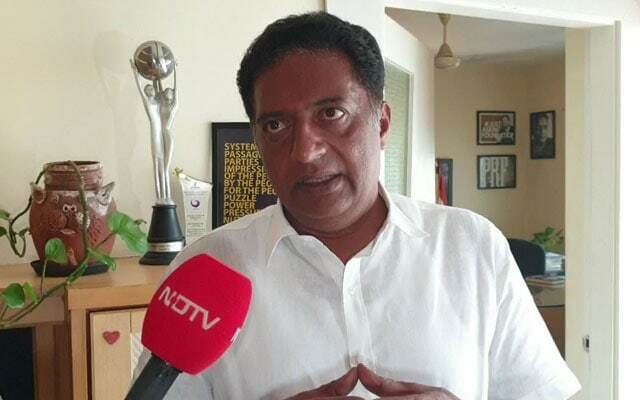 Prakash Raj: Modi is a no. Modi is a no-no. See, he is very dramatic. The point is he (Narendra Modi) is choosing to be silent on certain issues which has emboldened the narrative, which is not right. I don't feel secular, when he talks. 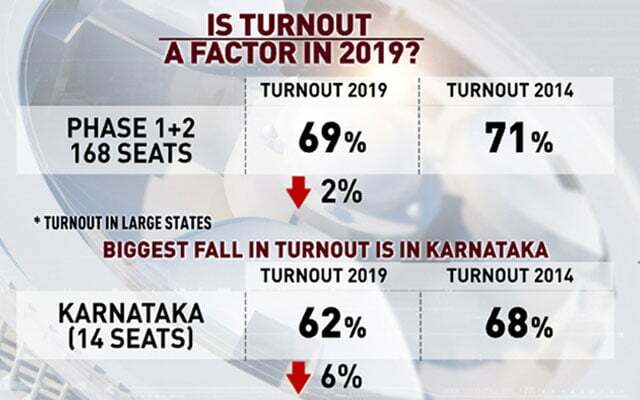 It is not the party which is important but the 500 odd candidates we choose and we, especially the learned people, who do not vote, should realise that 30% of the votes are from the poor and that is bought. There is no conscious voting there. These guys are living on it. The differences of winning margins. I think those who don't vote should realise that they are also responsible for this country.